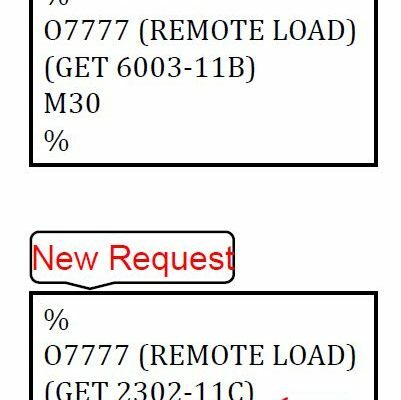 How does DNC Remote Request work? Not sure if it will work? Give us a call, as we have seen almost all of the controls out in the industry. There are various tricks and tips we can help employ to save you time and money. 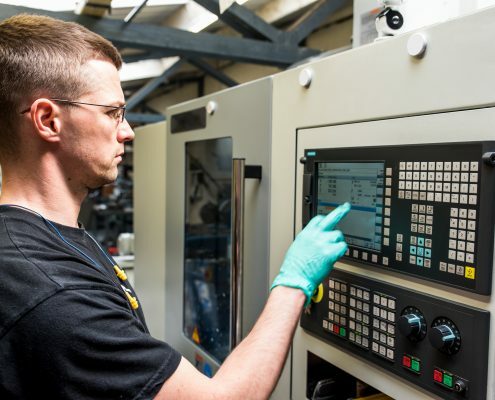 Improve CNC communications of your DNC programs. Eliminate walking to the PC to ready to save the NC programs back from the CNC. 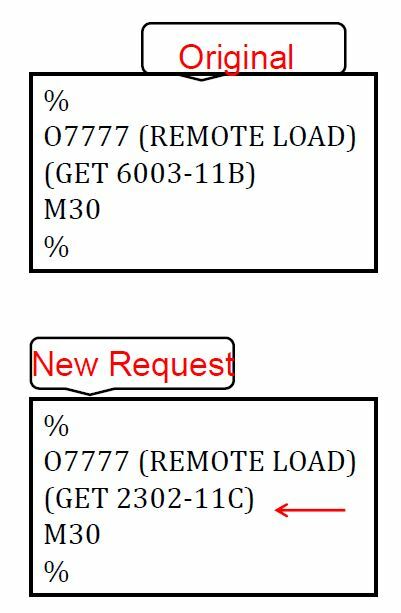 If you find the CNC Operator never sending you back the latest version used on the shop floor, this just simplified your upload process. Autoname is a function that the DNC software saves programs to a specific folder and scans the contents of the part program for a unique identifier to name the file. Autoname is a user-definable item and offers the user numerous naming options and default extensions can be added if desired. Want to save to a specific folder for review later, such as “proveout” or “offsets”, or a specific file name? You can remotely “save as” option direct from the CNC controller or bar code reader. The process is similar to the remote autoname above. The same process works for saving offsets or multiple programs as the DNC software can be configured for a time out. The time out is a defined number of seconds before the port closes and saves the file. Not sure of the latest NC program to load? Generate a list of the files contained in a specific directory and send back a list to the CNC. The CNC operator can then remotely request the load the desired files as needed from the list. Unsure if the NC programs was saved to the file server? Use over 26 remote messages to communicate with the CNC operator to confirm the file was saved, with specific file size. The message can be sent to the user on the CNC controller if there is an error, like FILE NOT FOUND. 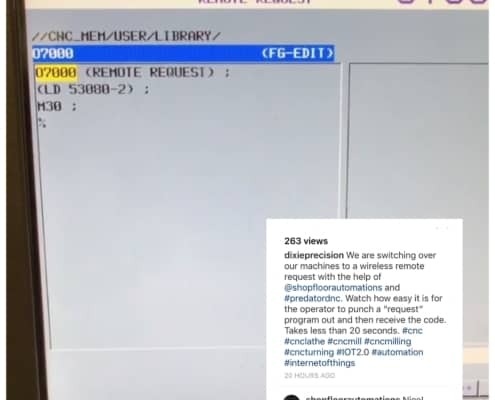 This eliminates the need for the CNC operator to chase down the CNC programmer on what is happening with the DNC system. Looking to notify key management or departments of problems on the shop floor? 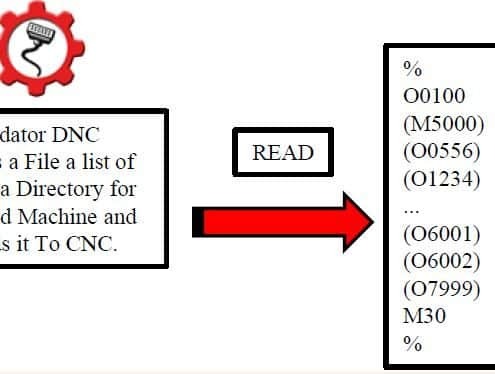 Use Predator DNC Remote EMail feature to trigger messages from the CNC controller to individuals or groups. 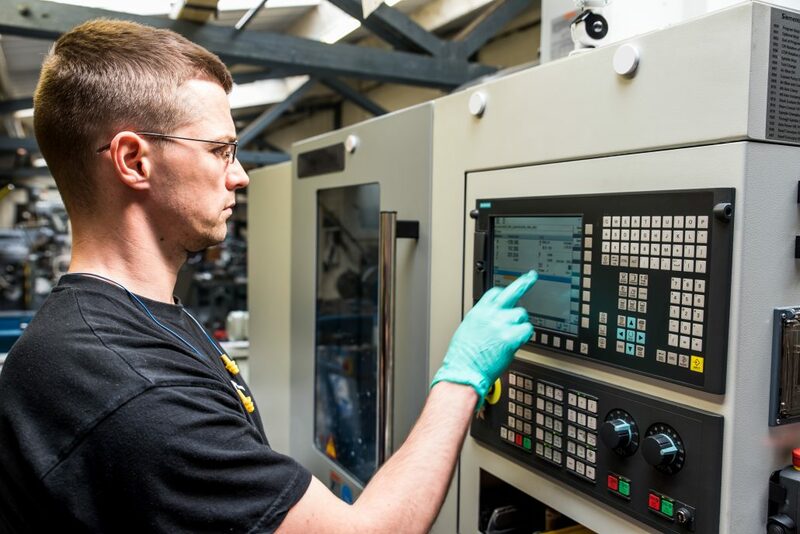 Yes, you can text message and email from any CNC Controller! 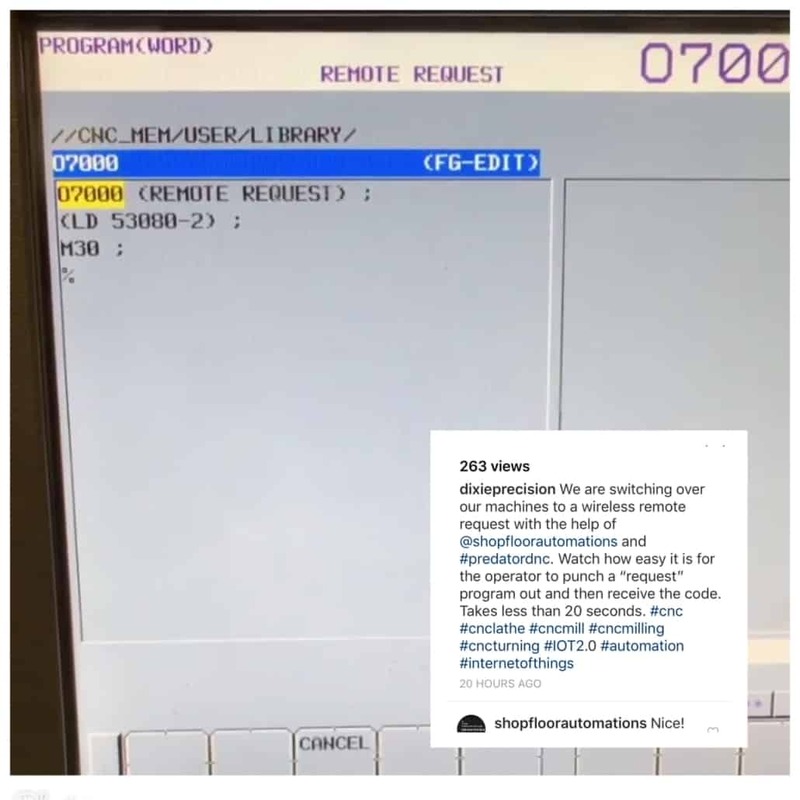 By punching or outputting the O8888 file, the DNC Server will trigger a pre-defined message to the Maintenance Dept based on the user configuration in the software and sent to desired email or phone number for a text message.